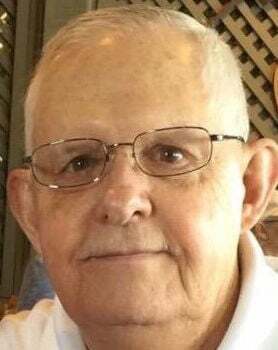 Dennis F. Greene, 77, of Knoxville, passed away at 12:45 a.m., April 15, at Parkwest Medical Center. Dennis was a member of Highland Park Baptist Church, where he served as a deacon for several years. He was preceded in death by his parents, Walt and Dena Greene. He is survived by his wife of almost 58 years, Carolyn “Bonnie” Greene; daughters, Tammy Martin (Tina) and Pam Campbell (Charlie); grandchildren, Crystal Price (Jordan), Nick Campbell and Cory Noe (Brandi); great-grandchildren, Justin and Jase Noe; sister, Gail Gamble (Bob); and several nieces, nephews and special cousins. The family will receive friends 4-7 p.m. Wednesday, April 17, at Highland Park Baptist Church in Lenoir City. Funeral services will follow at 7 p.m. with the Revs. Bob Gamble and Eddie Click officiating. Family and friends will gather at the funeral home by 10:30 a.m. Thursday and proceed to Lakeview Cemetery for 11 a.m. graveside services. In lieu of flowers, memorial donations may be made to the American Cancer Society in his name.